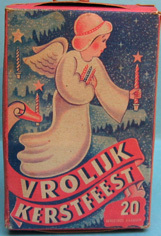 NEED HELP: The first box is marked with this logo "LSH"; anyone any idea which company ? 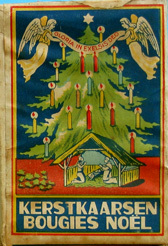 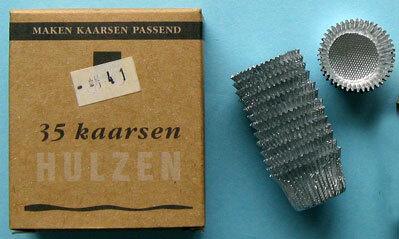 Firm started in 1853 in Hamont, Belgium: "Spaas Kaarsen nv". 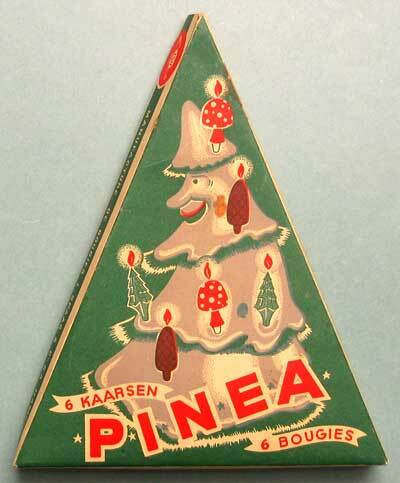 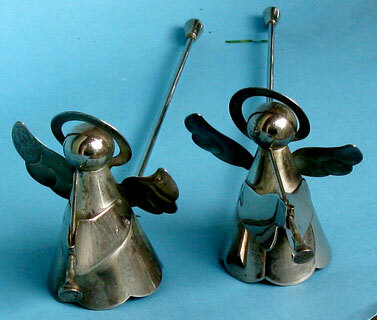 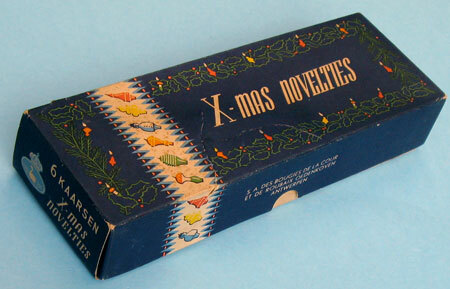 The colored ones were together with other Christmas items, but I had no idea what they were for. 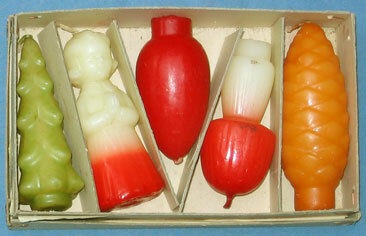 Small sweets ? 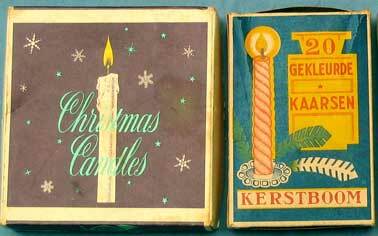 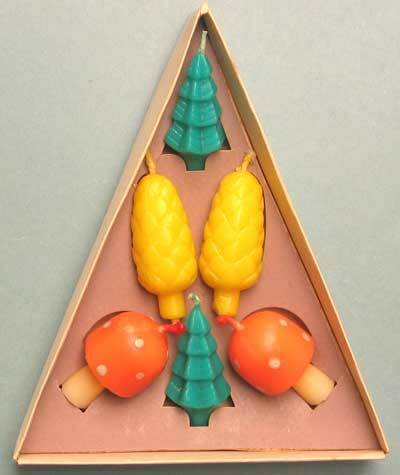 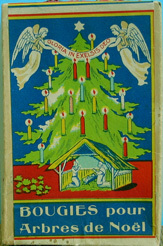 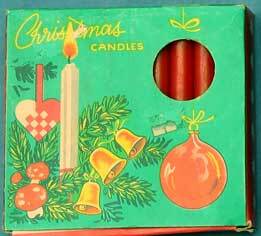 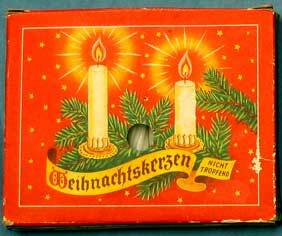 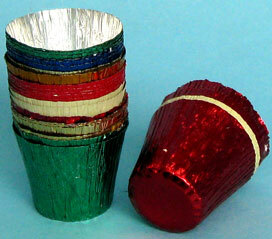 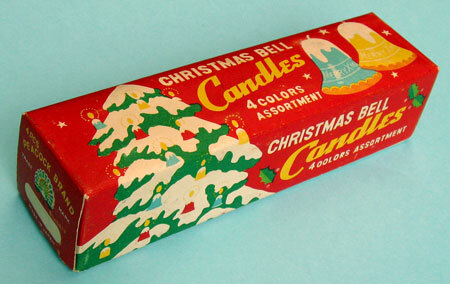 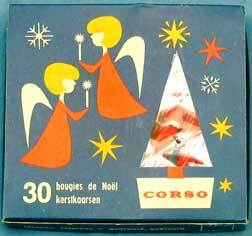 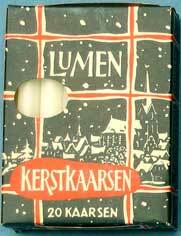 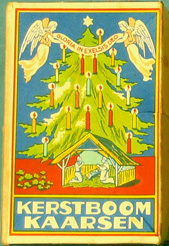 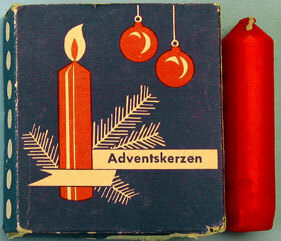 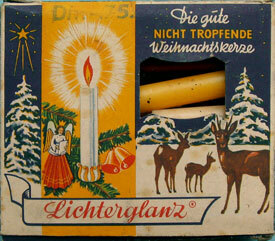 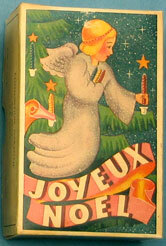 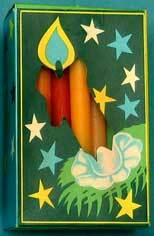 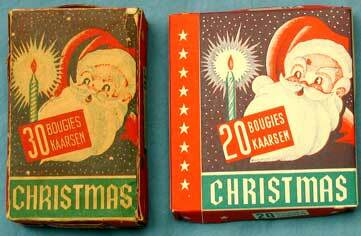 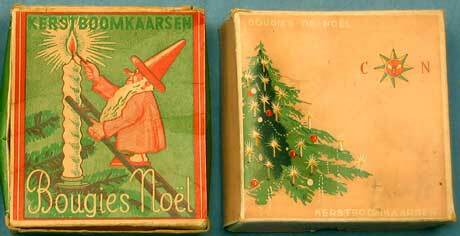 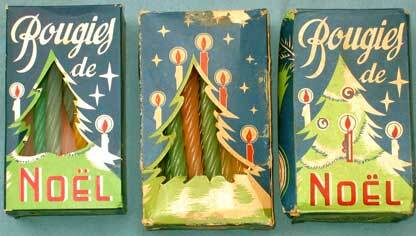 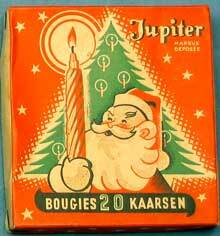 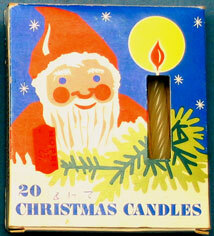 Then I came across the box with still a smaller version of the so-called candle cases. 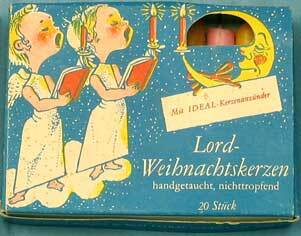 On the box it says they are to make candles fit better in candle holders. 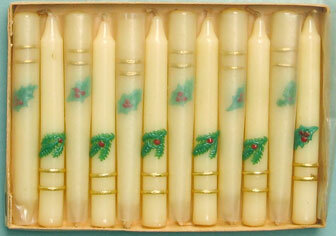 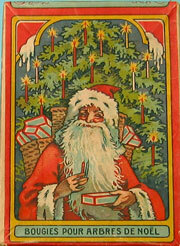 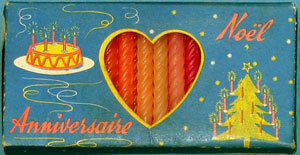 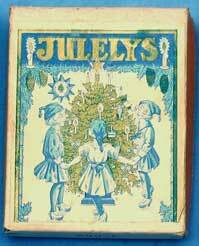 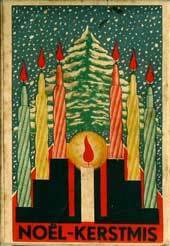 The candles shown below come from a collection I found several years ago. 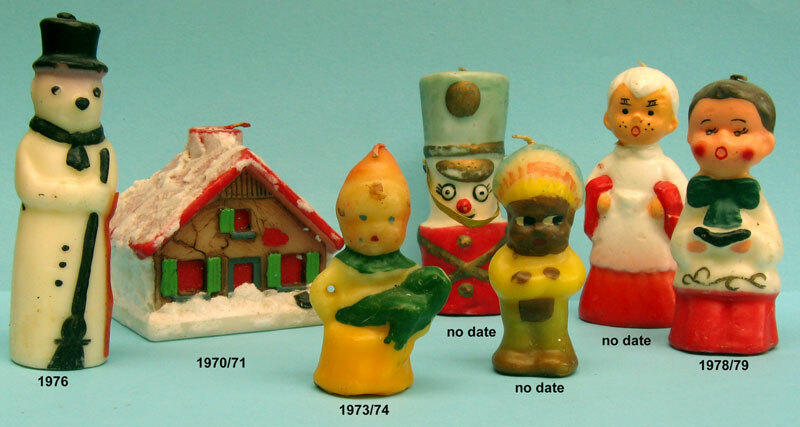 The person who collected them marked them with the year of purchase, which is much fun. 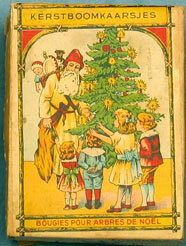 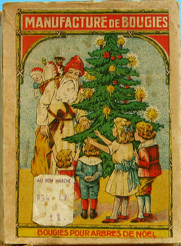 The snowman is 13cm high, while the smaller ones are 7 cm. 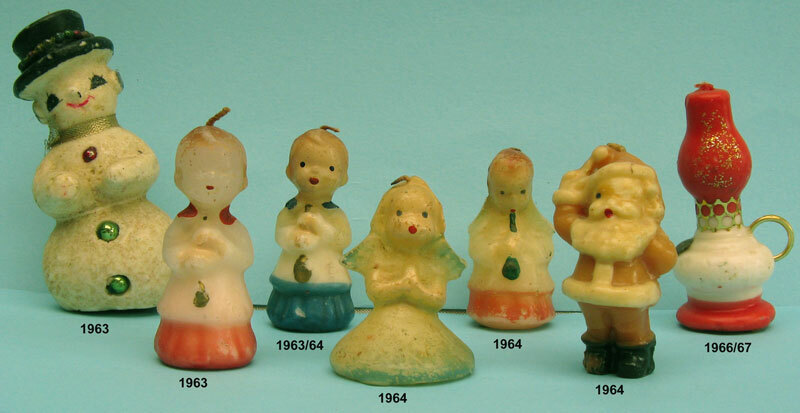 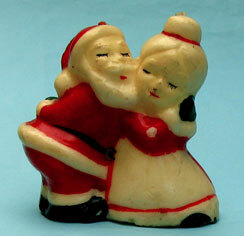 They are marked 1963 thru 1966/67, double dates could refer to New Year.. 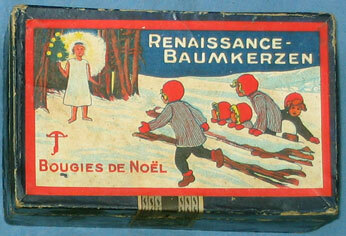 This snowman is 15cm high, while the smaller ones are 10cm high. 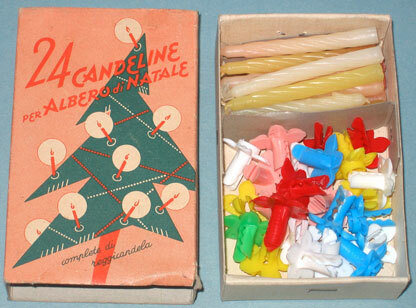 Some are marked. 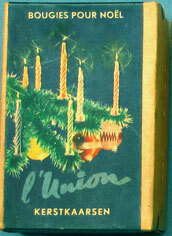 Two dates could refer to New Year. 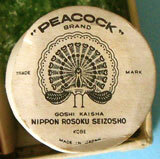 and the peacock logo on three sides, plus "MADE IN JAPAN". 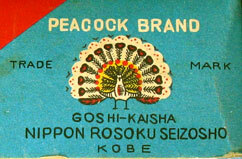 "GOSHI-KAISHA NIPPON ROSOKU SEIZOSHO KOBE, JAPAN." 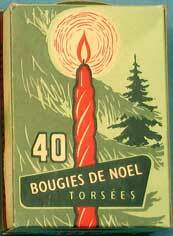 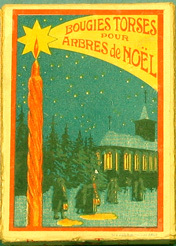 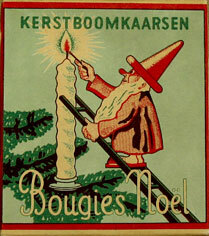 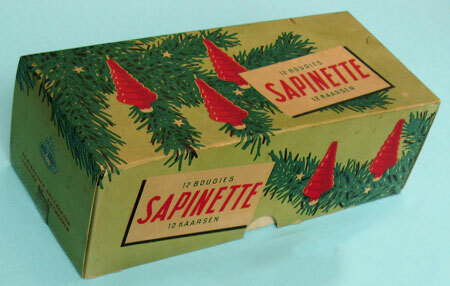 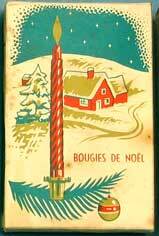 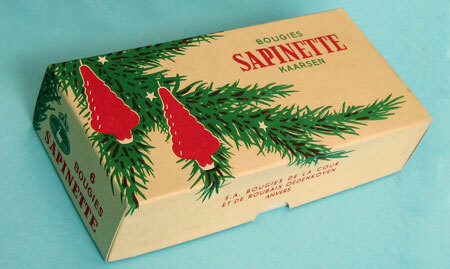 12 candles, SAPINETTE (small spruce).